zimbabwe Archives - Africa M.E. 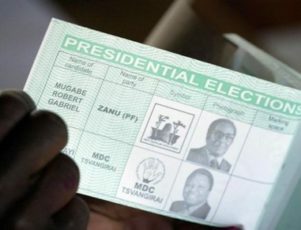 HARARE (Reuters) – Zimbabwe’s election agency said on Tuesday it needs $274 million to finance next year’s presidential and parliamentary elections, in which President Robert Mugabe plans to contest aged 94. HARARE (Reuters) – Loss-making Air Zimbabwe is cutting half of its 400 jobs as part of a restructuring plan meant to revive the ailing national carrier, Chairwoman Chipo Dyanda said on Wednesday. Dyanda told Reuters that Air Zimbabwe would cut 200 jobs in its fourth round of lay-offs in eight years. “We were overstaffed by a lot and we are also trying to weed out people without the right qualifications,” Dyanda said. Air Zimbabwe cut 300 jobs in August 2015 following cuts in 2009 and 2013, but has since rehired some of the workers. President Robert Mugabe’s son-in-law Simba Chikore was appointed chief operating officer last October, drawing accusations of nepotism from the opposition and critics of the government. Dyanda said Air Zimbabwe required a ratio of 45 workers per aircraft. The airline currently flies four planes, which has forced Mugabe to at times hire private jets for his foreign travels. “As part of the strategic plan, we would like to get more reliable planes and expand our routes,” Dyanda said, without giving details. An official at Zimbabwe’s Ministry of Transport said the airline, which has debts of more than $300 million, is looking to lease aircraft from Malaysia. 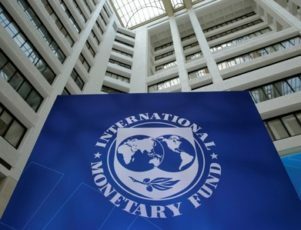 HARARE (Reuters) – Zimbabwe’s Reserve Bank is looking to increase the amount of domestic “bond notes” in circulation beyond an initial $200 million cap, its governor said on Wednesday, as the economy continues to grapple with shortages of U.S. dollars. 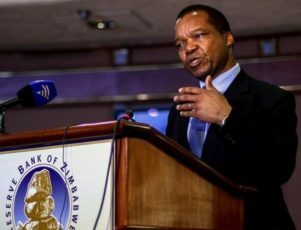 “We are in the process of negotiating those facilities and then we’ll come back to yourselves after we have made significant progress,” John Mangudya told reporters on the sidelines of a lecture at the University of Zimbabwe. He declined to give any more details of the new currency issuance plans. 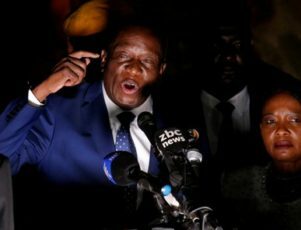 HARARE (Reuters) – Zimbabwe has banned grain imports to protect local farmers after producing enough to meet domestic demand, a government minister said on Tuesday, just a year after a devastating drought left more than 4 million people in need of food aid. 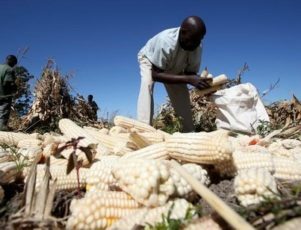 The southern African nation’s grain agency has also raised $200 million from the government and private sector to purchase maize from farmers, the Herald newspaper said. The national treasury last week forecast output of the staple maize at 2.1 million tonnes this year, from 511,000 tonnes in 2016. “It is true we have banned all grain imports because we have produced enough this year and also because we need to protect our local farmers,” Davis Mharapira, the deputy minister of agriculture said. Mharapira said the Grain Marketing Board would pay $390 per tonne for white maize, almost triple the $143 for the September contract for white maize in South Africa, one of the countries from which Zimbabwe has previously imported maize. The deputy minister said the higher price would encourage farmers to produce more maize while the import ban would make it impossible for dealers to buy the grain abroad and resell it at a higher price locally. Zimbabwe has since 2001 been importing maize to meet domestic demand of 1.8 million tonnes, blamed in part on seizures of white-owned farms by the government of President Robert Mugabe that hit commercial agriculture production. Mharapira said the national strategic grain reserve was holding 180,000 tonnes of maize, far below its targeted requirements of between 500,000 and 700,000 tonnes. Simbarashe Mhuriro and his company OurSun Energy Limited are creating an ambitious solar powered future for Zimbabwe. Simba grew up in Marondera, Zimbabwe, just 30 kilometers from the capital Harare. He attended a local school and by all accounts had a normal childhood. He didn’t start his career as a business high flyer. Simba recalled how his first jobs were rather ordinary, and not particularly indicative of the career he has gone on to pursue. His early jobs included working as a school teacher and even as a disk jockey before becoming a hotel reservations agent. He built upon his hospitality career and moved to Dubai after landing himself a job with hotel giant Emaar Hospitality Group. As he climbed the ladder, Simba rubbed shoulders with established business people from a variety of industries while gaining a sound understanding of the corporate world. 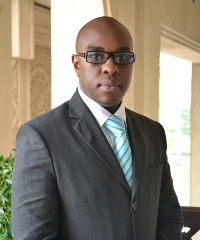 In 2010, he decided that given his business skills and knowledge of Zimbabwe, he wanted to create his own firm. 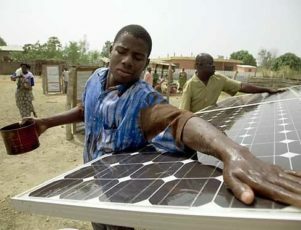 With Simba’s unique blend of business skills and Zimbabwean connections, and Meeco Group’s expertise in solar energy, a partnership was imminent. In 2014 the two groups formed the official joint venture OurSun Energy Limited. While such a program seems ideal for Zimbabwe, the country is not known for being an easy place to do business. Bringing the myriad facets of OurSun’s program together has been no easy feat. Simba has been an instrumental facilitator responsible for dealing with authorities and regulation, identifying prospects, bringing in additional partners, managing imports, sourcing suppliers and overseeing the implementation of the projects. OurSun is also committed to seeing its schemes benefit the local economy. They are looking to maximize the amount of manufacturing, research and development and hiring that happens locally. The firm estimates that over 2,000 jobs will be created throughout the life-cycle of the scheme. Furthermore Simba has commented that the program represents a great opportunity to drive growth in the industry via the the “knowledge transfer” that will occur between OurSun and indigenous Zimbabweans, many of whom will be women and the young. Tenacious individuals like Simba are essential to usher in change. Zimbabwe will enjoy the benefits of his conscientious work, and can be sure to see further contributions from this home-grown pioneer in the future. More than 50,000 bee farms operate in the southern African nation, providing a cash crop and encouraging forest protection. Beekeeping represents a win-win for Zimbabwe: It is a cash crop for thousands of struggling farmers and it encourages preservation of the nation’s depleted forestland. The Beekeepers Association of Zimbabwe estimates there are more than 50,000 bee farms flourishing in the southern African country and the number is growing. Beekeeping has become profitable thanks to high consumer demand for honey as well as beeswax. Bees also pollinate crops, helping increase food production. Beekeeping serves another important purpose: giving farmers a reason to preserve their woodlands. In Zimbabwe, forests have been ravaged by tobacco farmers who use wood to cure their crops and by high consumer demand for firewood fueled by the country’s frequent power outages. Tobacco farmers cut down up to one fifth of Zimbabwe’s 800,000 acres of natural forest each year, according to the government forestry commission. 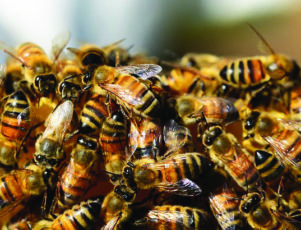 Zimbabwe’s Department of Agricultural and Extension Services provides training for would-be beekeepers as do a variety of nonprofit organizations, including the European Union’s Forest Forces project and the Ruzivo Trust. According to the Trust, beekeeping can add stability to farms that are highly dependent on abundant rainfall, which is no longer a given as climate change brings drought to the region. The Trust set up demonstration projects and used a “learning by doing” approach to train 100 families in Goromonzi. Most of the families combine beekeeping with growing crops and raising cattle. One new beekeeper is Divas Matinyadze, who maintains about four dozen hives in a dense patch of forest near Mpudzi. Matinyadze, who was trained by the government, was a successful farmer of cotton and maize before he switched to bees in 2014. He said he makes up to $60 per hive during each of two yearly honey harvests, enough to buy food for his family. Isaac Mamboza, a beekeeper in the Chipinge district, said he was part of a group of 25 farmers who started a local beekeeping project with hives in the trees near a local dam. “Beekeeping can help us protect our forests,” Mamboza said. However, the burgeoning beekeeping industry faces threats from drought and from another insect that kills bees. The current drought in the region has cut honey production. As weather becomes more erratic with climate change, harvest from rain-fed agriculture is increasingly vulnerable. This year, the drought has left more than 4.5 million Zimbabweans without enough to eat, according to the government. The country estimates it needs at least $1.6 billion to feed the country. Matinyadze said he delayed his spring harvest because there was so little pollen, adding that his crops have sustained much more damage from the drought than his bee hives have. Another major emerging threat is the “pirate bee,” an insect that invades the entrances of bee hives and kills the bees. This forces the bees to hibernate inside their hives, meaning they are not outside collecting nectar to produce honey. The pirate bee or cuckoo bee, along with water shortages, have forced beekeepers to cut back from three to two harvests per year, according to Nyovani Ndlovu, a beekeeper in Lupane. Several other insects, among them beetles and wasps, also hurt yields during the production of honey by infesting hives and forcing bees out. Cliff Maunze, who heads a Forest Forces team, said beekeepers are upgrading their hives to use a sticky substance to trap the pirate bees and other predatory insects when they land on the hives. Maunze said the project also plans to plant gum trees to increase the density of forests where the bees forage. Despite the challenges, experts see beekeeping as an important game changer for agriculture in many parts of the continent. “Honey production presents enormous potential for achieving food security in Africa,” the Ruzivo Trust said. Companies explore deposits, seek investment as worldwide demand grows for “white petroleum” to power rechargeable batteries. As global demand for lithium skyrockets, Zimbabwe may increase production of the so-called “white petroleum’’ that powers rechargeable devices including telephones and automobiles. Tesla’s plans to mass-produce its Model 3 battery-powered car have stoked worldwide demand. Tesla estimated its production target for electric cars alone – 500,000 vehicles by 2020 – could require as much lithium as is already currently being produced. Zimbabwe, the fifth largest producer of lithium on the planet, could increase its share of a growing market. Premier African Minerals has begun looking for partners to expand its Lithium and Tantalum mining operations at its Zulu Project in Zimbabwe. George Roach, Premier’s chief executive officer, said preliminary talks were aimed at identifying parties who might be interested in supporting development. Premier’s flagship mine is the RHA Tungsten Mine in Zimbabwe and the company has mineral projects across Africa. 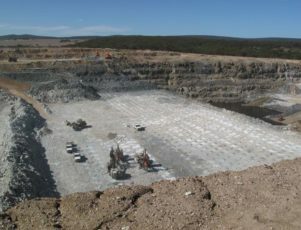 Meanwhile, another company, Prospect Resources Ltd., has secured diamond-drilling services for its recently acquired Arcadia Lithium Project in Zimbabwe. The project has set a target of extracting up to 18 million tons of 3-5 percent lithium. The company said it has raised $2 million of $16 million needed to fast-track exploration. During intermittent production between 1954 and 1972, the Arcadia mine produced more than 15,000 tons of mixed ore that contained lithium. The mining operation, just 25 miles northeast of Harare, also produces eucryptite, petalite and feldspar. Zimbabwe is the world’s fifth largest producer of lithium after Australia, Chile, Argentina and China. Other major producers are Brazil, Portugal and the United States. Zimbabwe produced 900 metric tons of lithium in 2015. By comparison, top-producer Australia accounted for 13,400 metric tons, Chile for 12,900 metric tons, Argentina for 3,800 metric tons and China for 2,200 metric tons. The consulting firm Stormcrow Capital projects global demand will outstrip supply by 2023. Such projections are driving investor interest in lithium, which was the only commodity to increase in price last year. The cost has skyrocketed to $6,400 per ton globally and reportedly to as much as $13,000 on some orders in China. Increased lithium production could be a boon for Zimbabwe’s struggling mining sector. 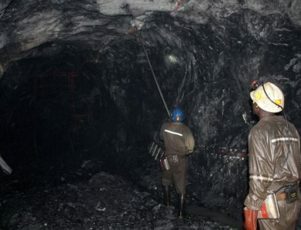 The Chamber of Mines of Zimbabwe told a recent conference of mining executives that the sector is fragile because of low mineral prices on global markets. The depressed prices, combined with liquidity challenges as well as power and capital shortages, have resulted in many mining companies struggling to break even. The sector produces 10 percent of the nation’s gross domestic product and 50 percent of its foreign direct investment and export earnings. Toindepi Muganyi, president of the Chamber of Mines, told delegates at the Mining, Engineering and Transport conference that the sector had contracted by more than 2 percent for the second year in a row in 2015. Total mineral revenue dropped from $1.9 billion in 2014 to $1.86 billion 2015, he said. In addition to interest in lithium, prices for gold, platinum and nickel were on the rise, Muganyi said, predicting a recovery this year. The Zimbabwean government in 2014 announced plans to build a lithium processing facility, which could lead the way to manufacturing batteries in the country. Valentine Vera, metallurgy director in Zimbabwe’s Ministry of Mines and Mining Development said the metal had the potential to drive the nation’s economic growth as global demand grew. However, Vera said the country would need to draw significant investment in order to increase production. Zimbabwe is a mineral-rich nation with resources that include platinum, gold, nickel, copper, zinc, lead, limestone and phosphates. The country has the second-largest deposits of platinum in the world. Exploration for lithium is also under way in Mali. Birimiam Limited, a multi-commodity exploration company has significant interests in lithium deposits as well as gold deposits in the West African nation. Niger, Namibia, Senegal and Ivory Coast also have lithium deposits.